Recent photos of free art ready for people to find, take home and enjoy. Relish, from Winnipeg, placed some of my art in his neighborhood. Other artists represented include: Bonus Saves, Starhead boy, John Fogarty, Clementine, Ticky, Relish. 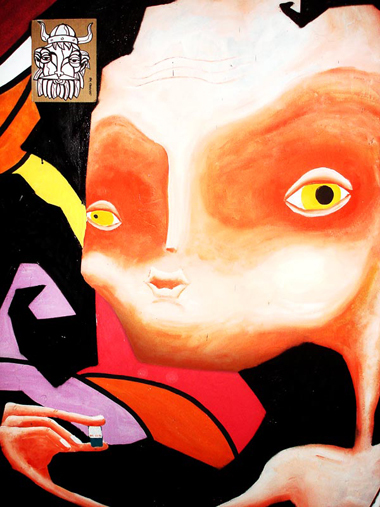 Sola e a comédia da vida seca, from Sao Paulo, placed my viking piece in his neighborhood. Unfortunately, I don't know the name of the artist on whose wall my piece was placed.